Prof. Touwaide will collaborate with Prof. Valentina Gazzaniga at the Department of Medical-Surgical Sciences and Biotechnology. Research will focus on the history of the epidemiology of malaria in Ancient Rome to attempt to quantify the presence of malaria in ancient times, as well as lay the foundation for a new and complementary approach to paleopathology. Prof. Truzzolillo will collaborate with Prof. Federico Bordi at the Department of Physics. Research will focus on the study of the complex phenomenology observed when loaded polymeric microgels interact with macromolecules with an opposite charge. The experimental research project aims to reveal the non-conventional electrostatic properties of microgels for applications such as the treatment of waste waters. Prof. Kalesse, invited by Prof. Giancarlo Fabrizi at the Department of Pharmaceutical Chemistry and Technology, will conduct research to discover new drugs and development programmes for the cure of tumours related to Hedgehog’s oncogenic pathway (brain, breast and colon tumour). Research will address both natural and synthetic products that have not been described yet and will study the related biological mechanisms. Prof. Peña García, invited by Prof. Stefano Grignaffini at the Department of Astronautical, Electrical and Energy Engineering, will conduct research in the field of sustainable illumination and installation technology. The research will validate predictive numerical models developed with the DIALux evo software package. These models will be useful to determine the energetic optimisation of lighting systems on roads and evaluate the impact of new materials. Prof. Vallejo Mateo, invited by Prof. Spartaco Paris at the Department of Structural and Geotechnical Engineering, will conduct research to identify strategies and good practices concerning actions for the energetic and environmental requalification of public real estate. In particular, research will aim to identify possible activation models for shared processes to accelerate real estate renovation. Prof. Ilkkaracan, invited by Prof. Marcella Corsi at the Department of Statistical Sciences, will conduct research with the Minerva Team in the area of gender economics. The collaboration aims to allow the further development of the purple economy in line with Sustainable Development Objectives 3 and 5 on gender and food safety. Prof.ssa Radini, invited by Prof. Emanuela Cristiani at the Department of Odontostomatological and Maxillo-Facial Sciences, will conduct research on food and environmental particles trapped by dental calculus (tartar), analysing dental calculus samples ranging from the Palaeolithic to Modern Era through the application of Optic Microscopy and Experimental Archaeology. Moreover, Prof. Radini will also address ethical issues concerning Bioarchaeology. Prof. Philippe, invited by Prof. Massimo Luciani at the Department of Law, will conduct educational activities addressing Compared Constitutional Law and the issue of Transitional Justice. 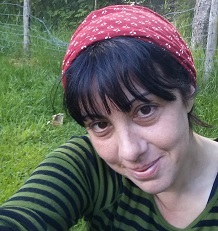 Prof. Sinamei, invited by Prof. Tiziana Calamoneri at the Department of Computer Science, will conduct research on combinatory structures and algorithms to understand species interaction and their evolution at the molecular and ecological levels. In fact, Cophylogeny, the study of related philogenesis, is an extremely vast and promising area of study. Prof. Athanassopoulos invited by Prof. Boffi at the "Alessandro Rossi Fanelli" Department of Biochemical Sciences will conduct a research project on the synthesis of new Taepeenin D analogues, which are useful for relational studies on the structure of activities (SARS), such as Hedgehog Pathway inhibitors. In particular, five new “rationally designed” Taepeenin D analogues will be synthesised. Visiting Professor dal 07/05/2018 al 03/06/2018. Prof. Bodel, invited by Prof. Silvia Orlandi at the Department of Antiquities, will conduct educational activities on Roman epigraphy. He will hold lessons in the latter part of the semester for post-graduate students. Prof. Massimo Palme, invited by Prof. Serena Baiani at the Department of Architectural Planning, Design and Technology, will conduct research aiming to identify interstitial spaces in the area of Rome that could benefit from operations to improve architectural conditions and restore their original or plan a new one. Prof. Dell'Accio, invited by Prof. Luigi Mancini at the Department of Computer Science, will conduct educational activities on the issue of cybersecurity. During his visit, Prof. Dell'Accio will hold a course on Cybersecurity Management addressing the analysis of the reference models defined by international professional standards (i.e., standards established by the International Organization for Standardization), and simulations with case studies based on real events. Prof. Pereira, invited by Prof. Gaetano Fusco at the Department of Civil, Construction and Environmental Engineering, will conduct research related to Machine Learning and Traffic Prediction. The objective is to provide a full overview of short-term traffic forecasts using both cutting edge research in artificial intelligence and consolidated theories on the propagation of traffic flows. Prof. Clayton, invited by Prof. Antonio Fioravanti at the Department of Civil, Construction and Environmental Engineering, will conduct research focusing on the exchange and sharing of technical competences for construction, such as Building Information Modelling, digital manufacturing and a review of automated construction codes. Visiting Professor (21/03/2018 - 18/06/2018). Prof. Julian Thayer, invited by Prof. Cristina Ottaviani from the Department of Psychology, will participate in a collaborative study on the interaction between mind and body in perseverative cognition. The research will address the effects produced by the stimulation of baroreceptors on perseverative cognition and, in particular, evaluate how bodily excitement, following emotions and affectionate sensations, can mould emotional experience. Prof. Randi Starrfeld will collaborate with Prof. Marialuisa Martelli at the Department of Psychology on the International Masters Programme on Cognitive Neuroscience. Activities will focus on particular aspects related to clinical studies on neuropsychological defects associated to posterior cerebral damage. Moreover, Prof. Starrfelt and Prof. Martelli will conduct experimental research on visual perception and recognition. Prof. François Golse, invited by Prof. Garroni at the Department of Mathematics, will hold lessons on his area of speciality - mean-field and classical limits of quantum particle systems for the PhD Programme in Mathematics. Indeed, Prof. Golse is considered one of the leading global experts in this field to which he has provided fundamental and pioneering work. At Sapienza, he will work with the Mathematical Physics research group. Prof. Alfonso De Simone, invited by Prof. Stefano Gianni at the Department of Biochemical Sciences, will participate in joint research activities addressing a biomolecular investigation of protein folding in both functional and pathological contexts. The experimental strategy of the research project will be based on the study of the GAB2 Protein through the use of peptides that imitate bonding areas with different physiological binders. Prof. John Hey, invited by Prof. Giuseppe Ciccarone at the Department of Economics and Law, will participate in a research project studying the decisional processes of economic agents according to a multidisciplinary approach. In particular, the study will address the phenomenon of choice overloading and its micro- and macro-economic implications for financial decisions. Prof. Mauro Antezza, invited by Prof. Marco Centini at the Department of Basic and Applied Sciences for Engineering, will participate in a theoretical study on fluctuational electrodynamics and the transferral of radiating heat. Prof. Antezza is considered a prominent expert on issues related to multi-body heat exchange and the study of its environmental effects. The joint research project will be mainly focused on the development of a theoretical and numerical model for the study of real structures lying on dielectric substrates. Prof. Peter Bull will collaborate with Prof. Giovanna Leone at the Department of Communication and Social Research to study political discourse and rhetoric, concentrating on the language used by Italian politicians. Prof. Bull is a renowned scholar who will mainly address the non-verbal aspects of communication. Prof. Nina Rappaport, invited by Prof. Marzia Marandola at the Department of History, Representation and Restoration of Architecture, will participate in research activities on the forms and techniques that unite the worlds of art, architecture and engineering in Italy and the United States, after World War Two. Prof. Rappaport will also contribute with his experience to the Vertical Urban Factory: a think-tank that conducts research on architecture and urban issues in industrial cities. Prof. Codjo is a Professor of Cardiovascular Semeiotics, Pathology and Therapy at the Faculty of Medicine of the University of Parakou. Prof. Codjo will collaborate with Prof. Roberto Caronna aa pre- and intra-operational planning protocol for the diagnostic and therapeutic treatment of patients undergoing endovascular aneurysm repair (EVAR). Prof. Matik will collaborate with Prof. Stefania Panero at the Department of Chemistry, conducting research on next-generation energy storage systems. The research will mainly focus on the development of new nano-structured electrolytes for Lithium-Sulphur (Li-S) batteries through electrochemical and spectroscopic investigations. Moreover, the project aims to train young researchers and provide them with the competences necessary for cutting-edge research in a variety of areas. Prof. Salvi, Director for the Center for Hearing and Deafness at the State University of New York in Buffalo, is one of the most internationally renowned scholars of otolaryngology and experimental audiology. Prof. Salvi will collaborate with Prof. Antonio Greco and the Department of Sense Organs on joint research activities to develop a methodology capable of identifying Sensorineural hearing loss at a very precocious stage that cannot be identified by current methodologies in clinical practice. Prof Cunha, invited by Prof. Roberto Magini at the Department of Civil, Construction and Environmental Engineering, will participate in research activities on water distribution infrastructure, with a particular focus on the Italian context. The study will concentrate on the formulation of possible scenarios for user water demand and the water distribution service through statistic and probability methods. Prof. Sahrmann, invited by Prof. Andrea Pilloni at the Department of Odontostomatological and Maxillo-Facial Sciences, will conduct didactic activities as part of the Research PhD in "Innovative Technology for Skeletal, Skin and Oro-Cranial-Facial Diseases.” Prof. Sahrmann will hold various seminars on his research work on Periodontics and, in particular, on the treatment and prevention and diagnosis of peri-implantitis and aetiology of Periodontics in youth, as well as seminars on the preparation and development of scientific projects. Prof. Anthony C. Masi will collaborate with Prof. Antonella Goggiamani at the Department of Pharmaceutical Chemistry and Technology and with the Department of Economic Methods and Models for Economics, Local Areas and Finance. Prof. Masi will conduct research activity on the effects that variations in labour and welfare policy (legislation on labour protection, unemployment benefits, social welfare systems and pensions) have had on the structure and operation of the Italian labour market from the 1990s to today. The research activity will work on data from ISTAT and other statistical institutes. Prof. Pokrovskaia, who was invited by Prof. Fabrizio D'Ascenzo at the Department of Management, will hold seminars on the use of the Internet of Everything and ICT for business intelligence with a particular focus on the growing concerns that these tools raise for legislation and ethics. Prof. Simona Colantonio was invited by Prof. Ilaria D'Acquarica at the Department of Pharmaceutical Chemistry and Technology to kick off collaboration with the Frederick National Laboratory for Cancer Research on the creation of new anti-tumour drugs and new development programmes based on natural products. Moreover, research will be conducted on the biological mechanisms of cancer and the identification of potential new anti-cancer "small molecules." Prof Agnes Rocamora, a leading international scholar of Fashion Studies and founder of the International Journal of Fashion Studies, was invited by Prof. Romana Ando at the Department of History, Culture and Religion to hold lessons, seminars and research labs on “Sociology of Cultural and Communication Processes.” The lessons will concern Fashion Communication and Media Studies with particular reference to fashion and its sociological and communicational aspects. Prof. Andrea Biondi, Director of the Centre for EU Law at King’s College in London, was invited by Prof. Piero Guido Alpa at the Department of Law. Prof. Biondi will conduct joint research activities aiming to analyse the relation between private independence, rights and fundamental liberties, as well as understanding the impact of Brexit through a reflection of English Law of European origin. Prof. Antonio Franchi, Permanent Researcher at the Centre National de la Recherche Scientifique(CNRS) and an affiliate at the Laboratoire d’Analyse et d’Architecture des Systèmes(LAAS), is a leading expert in multi-agent control systems and, in particular, on multi-robots. Prof. Franchi was invited by Prof. Giuseppe Oriolo at the Department of Computer, Automation and Management Engineering to hold lesson on the Control of Autonomous Multi-Agent Systems Programme (Masters Degree in Control Engineering). Prof. Tatsuki, who was invited by Prof. Marina Morbiducci at the Italian Institute for Oriental Studies, will participate in a research project addressing three areas: international pragmatics and sociolinguistics, English as a Lingua Franca, and English as a means for global education and negotiation. The research is based on the idea that these three areas are converging, in the 21st century, towards a single goal - efficient communication and internationalisation - for scientific studies, education, institutional policy and strategic academic plans. Prof. Leonor Peña-Chocarro, a prominent expert on the origin and diffusion of agriculture in the Old World, was invited byProf. Laura Sadori at the Department of Environmental Biology, to hold courses for the Bachelors Programme on “Science and Technology for the Restoration of Architectural Heritage.” Prof. Peña-Chocarro will hold lessons on the “Origin and Diffusion of Agriculture” as part of the course on “Archaeological Research: Methods and Case Studies”. Prof. Augusto Aguilar Calahorro, who was invited by Prof. Angelo Schillaci at the Department of Law, will hold lessons in English on “The Fundamental Charter of Rights of the European Union and its Application by Common Judges: Risks to Equality,” as part of the course on “Comparative and European Public Law” held by Prof. Schillaci. Prof. Mather, a world-renowned expert on the management of patients with advanced cardiac insufficiency, will collaborate with Prof. Francesco Fedele at the Department of Cardiovasculaar, Respiratory, Nephrological, Anaesthesiologic and Geriatric Sciences. The main objective of the research project is to evaluate, in patients affected by advanced cardiac insufficiency, circulatory assistance systems, including, based on indications from the current guidelines, the pharmacological strategy both through inotropic drugs and devices such as intra-aortic balloon pumps and VADs to cardiac transplants. Prof. Lu, who was invited by Prof. Michaela Liuccio at the Department of Communication and Social Research, will conduct research on the orientation of public opinion concerning health-related issues. In particular, the study will conduct an updated evaluation of the impact of new media, especially in terms of polarisation and intolerance, on current, controversial issues such as euthanasia, surrogate motherhood, vaccination and human cloning. Prof. Semmler is a global authority on the application of the Non-linear Model Predictive Control (NMPC) for economic applications. Prof. Semmler will collaborate with Prof. Giovanni Di Bartolomeo and Prof. Enrico Saltari at the Department of Economics and Law, conducting research on environmental and climactic change models, EU macroeconomics, game theory, numerical methods for the resolution of economic models and the development of non-linear macro-models. The visit will also be an opportunity to promote the internationalisation of the Political Economics PhD Programme and the new Experimental Economics Lab. Prof. Zarka, invited by Prof. Stefano Petrucciani at the Department of Philosophy, will conduct research to reinterpret Tocqueville’s “Democracy in America.” In particular, the aim is to bring together Tocqueville’s reflections on the pathologies and risks of democracy with recently conducted analyses and verify, from a political philosophy perspective, the degree to which Tocqueville’s analyses continue to provide a satisfactory theoretical background to profoundly understand today’s democratic dynamics. Prof. Schick is an extremely brilliant mathematician and is considered one of the best of his generation in Germany. Prof. Schick will collaborate with Prof. Paolo Piazza at the Department of Mathematics on research activities related to Geometry and Analysis, with a particular focus on the development and application of the upper secondary index theory and the classification of positive scalar curvatures. Moreover, the visit will provide the opportunity to strengthen collaboration between Sapienza University and the University of Göttingen and to promote Prof. Schick’s interaction with researchers and PhD students in Geometry. Prof. Navarro, invited by Prof. Guido Benvenuto at the Department of Psychology, will conduct research on cognitive psychology with a particular focus on how mathematics is learned at a precocious age. The study is based on the work conducted in Spain by Prof. Navarro and in Italy by Prof. on the “The Early Numeracy Test Revised” with the aim to develop a track that begins with its evaluative use to develop focused actions for learning in school contexts. Prof. Jonathan Hope was invited by Prof. Iolanda Plescia at the Department of European, American and Intercultural Studies. As an expert in Digital Humanities and the Language of Shakespeare and the author of an important monography (Shakespeare and Language: Reason, Artifice, and Eloquence in the Renaissance, 2010), Prof. Hope will conduct research workshops for Professors and PhD students on his research projects, based on the use of digital tools to redefine the Shakespearian vocabulary. Moreover, Prof. Hope will collaborate with the Department on issues of common interest related to Elizabethan language.